There are many ways to finance a new solar photovoltaic (PV) installation, with loans and leases being the two most popular. Solar leases cost nothing upfront, making them extremely affordable. But because you’re renting your PV system, you’ll never build up equity in it. This makes it impossible to ever break even. Solar loans involve taking on debt to finance your installation, complete with credit checks, approvals and interest charges. But because you own the system, all tax benefits come to you directly. And in most cases, your solar installation will eventually pay for itself. But there’s a third option that’s making waves in the solar industry. It’s called PACE financing, and it offers the best of both worlds. What is PACE – and how does It work? Property Assessed Clean Energy (PACE) is a special type of financing that blends many of the best features of solar loans and leases. Renew Financial’s PACE program allows you to build up equity in your PV system, meaning all the electricity and incentives come to you directly. This makes going solar an investment that delivers measurable returns – much like a solar loan does. PACE financing doesn’t cost anything upfront. So you receive a new PV installation (parts & labor) without spending a dime – just as you would with a solar lease. However, PACE offers additional benefits as well. For example, all solar financing is borrowed against your property. This means you’re not taking on any personal debt. As a result, it’s relatively easy to qualify for PACE financing – provided you have sufficient equity in your home. Moreover, that debt doesn’t follow you, the homeowner. It follows the property. If you decide to sell your house later on, the next owner can take over the remaining portion of the financing. 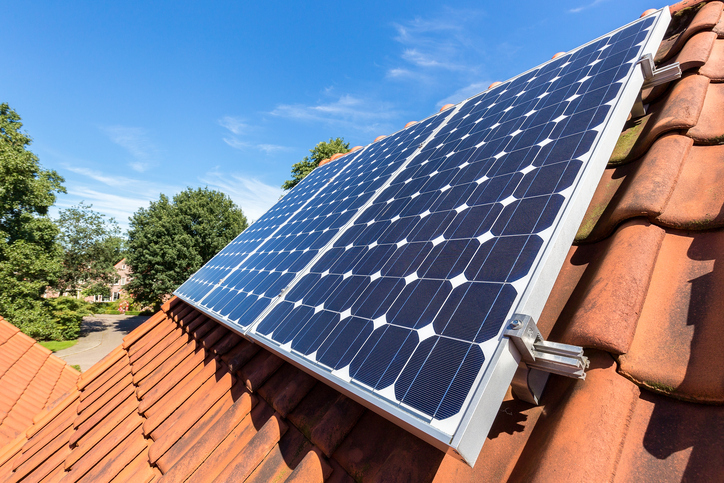 As an added bonus, you may discover that the resale value of your home has gone up thanks to the solar panels sitting on your rooftop. In addition, managing PACE payments is much simpler. Every 6 or 12 months, you pay down the balance on your annual property tax bill. By contrast, solar loans and leases require ongoing account maintenance every month. Is solar PACE financing right for everyone? Financing your solar installation with Renew Financial’s PACE program is a fantastic way to reduce your utility bills and shrink your carbon footprint. But is this approach right for you? Like all types of financing, PACE carries interest charges. That means you’ll end up paying more for your system than if you paid in cash up front. But with repayment terms up to 30 years, Renew Financial’s PACE financing gives you an affordable, regular payment that won’t take you by surprise. In addition, PACE financing is typically run at the municipal level, meaning the program may not be available in your community yet. But this is changing as more local governments perceive the environmental and financial benefits of this wildly successful program. If you’re looking for an affordable way to go solar while still retaining ownership of your installation, PACE financing may be an ideal fit. Find out if Renew Financial’s PACE program is available where you live!